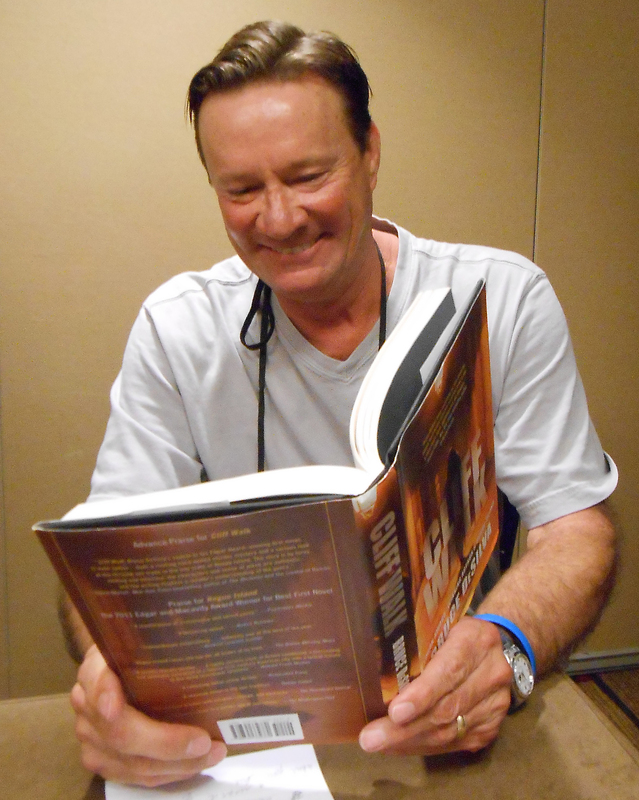 ← Look Who’s Reading “Cliff Walk.” It’s Lee Child. Look Who’s Reading “Cliff Walk” Now! It’s Best-Selling Thriller Writer T. Jefferson Parker. T. Jefferson Parker has long been one of my favorite thriller writers. I especially admire his quirky protagonists including Allison Murietta, a lady outlaw and descendant of a famous old-California bandit; Robbie Brownlaw, a San Diego homicide detective whose medical condition, synesthesia, makes it easy for him to tell when people are lying; and Joe Trona, a tough guy carrying deep physical and emotional scars from an abusive childhood. His latest novel is The Jaguar. You can learn more about Parker here. Cliff Walk is the second novel in my series featuring Liam Mulligan, an investigative reporter at a dying Providence, R.I., newspaper. The first, Rogue Island, won the Edgar Award and the Macavity Award and was a finalist for the Shamus, Barry, and Anthony Awards. Reviewers say Cliff Walk is even better. You can purchase the books here. This entry was posted in Uncategorized and tagged Allison Murietta, Anthony Award, barry award, Bruce DeSilva, Cliff Walk, edgar award, Liam Mulligan, Macavity Award, Providence, Rhode Island, Rogue Island, Shamus, T. Jefferson Parker, The Jaguar, thriller. Bookmark the permalink.